Take a look at these pictures. 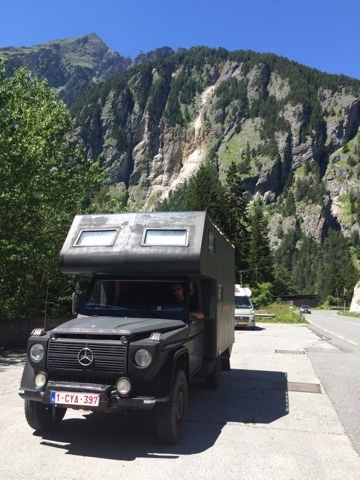 We came up from Switzerland, on the Umbrail pass. 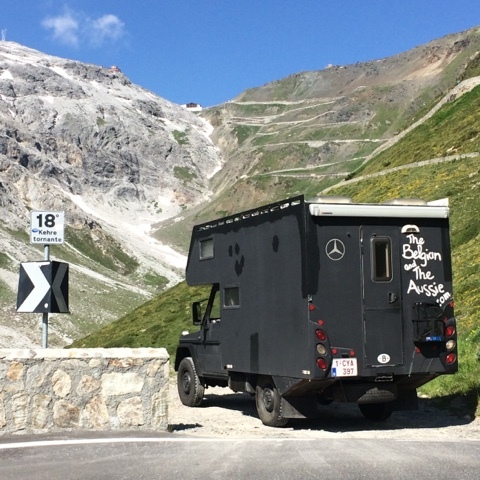 Went down a bit of the other side of the pass, where we stopped for the night, then we went back up and travelled down the Stelvio pass. (H calls it all 'Stelvio' so others might do to, but I'm getting names from the map). 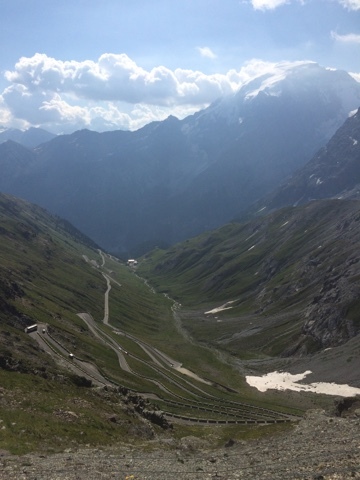 It's crazily busy with cyclists going up, and an extraordinary challenge! 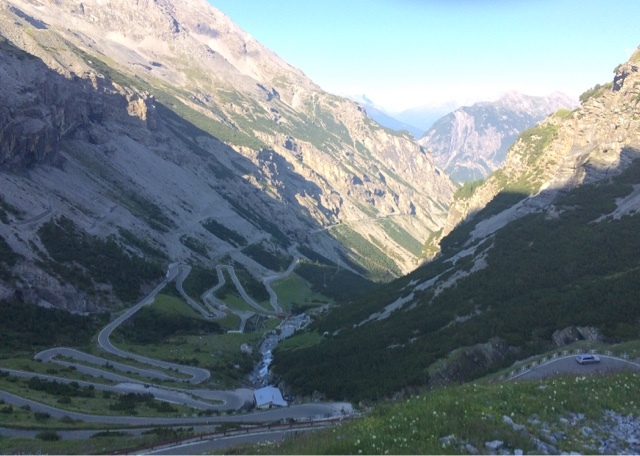 This is switchback number 18, on Stelvio, counting from the top down. There were 46 in total. Blac struggles a bit on the uphills, so, to assist we give him more air by putting 600ml coke bottles under the bonnet, as you can see here.